For too long, older generations have dismissed the political views of children and young adults, citing “ignorance” or “immaturity” as reasons to exclude them from policy-making, or even discussions surrounding social issues. But, if these are the individuals who will have to inhabit our earth (long after our current politicians have moved on) why shouldn’t they too, have a voice? For too long, it has been those same individuals, who have passed the majority of their lives, who have continually failed to act and make the changes that we all need to see. For too long, we have skirted around the issue of climate change (corporate denial of climate change began way back in the 1970s) and taken a softly-softly approach. That hasn’t worked. And it will continue to not work. We think it’s time for a change. Young people know it is time to change. Climate change is the single greatest threat that we are facing today. No matter your political stance, your religion, your cultural beliefs, gender or sexuality, climate change is the biggest threat to your, and our collective, survival. It is the one threat that truly unites us all. Gives you a warm, fuzzy feeling…no? Not only does climate change signify a very real cloud of doom hanging over our heads, but it literally means the possible end of our world, as we know it. For those of you who have lived your better years, congratulations. For those of us who have most of our lives to come, good luck. For those generations not yet born….we don’t know what we’ll be leaving you. As of October 2018, scientists have declared we have a terrifyingly small number of just twelve years in which to act*, if we hope to reverse the changes we have so far brought upon our planet. Twelve years. That’s fewer years than the number of compulsory years in education, by the way. After those twelve years….well let’s just say, good for you for those who have already started drawing your pension. And therein lies the problem. 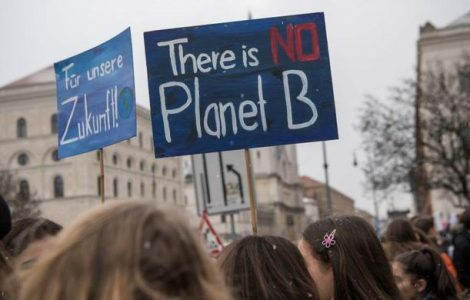 Our policies, laws, regulations and (in)actions have been ‘decided’ by generations of folks who simply don’t have the personal interest in ensuring our planet continues to be a habitable, healthy, and sustainable place to live. Although, I can’t wrap my head around the ideology that people simply only care about the planet whilst they are living on it. Whatever happened to longevity? Human compassion? Concern for life other than your own? For too long, these inactions have meant the steady decline of the health of our planet. And now, it isn’t a steady decline, but a rapid race downhill into a ditch from which it is becoming increasingly harder to rise back out of. 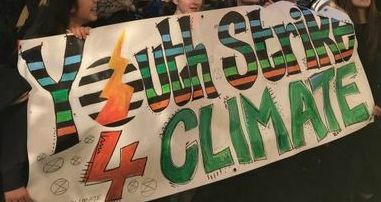 So, here at BGE, we have been delighted and inspired by the young people taking a stand for their future, and the future of our planet. Because that’s what climate action will enable. Building and working towards a healthier, more sustainable home for this generation, and for generations to come. This to me, appears to be a major difference. Young people today aren’t considering only their short lives spent on this planet, but ensuring it will remain for their successors too. They know the cost of caring for that future, and are seeking the promises of a future that previous generations were gifted, and did not pass on. These past few months have seen a new wave of uprising. This wave however, is not of policy-makers finally taking the responsible and active steps away from our inevitable destruction. 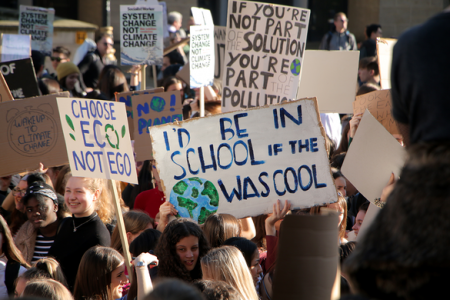 But it is a wave of students – children, teenagers and young adults, squaring up and demanding “just why are you still not doing anything?” Students who are tired of inaction, frustrated at immobility, and scared of the uncertainty of their future. 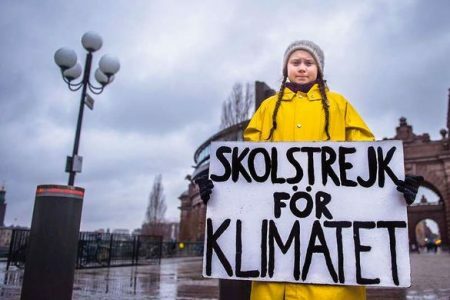 Greta Thunberg, aged just 16, galvanised the movement of student protests with her decision to start skipping school, and protesting outside of government buildings in Sweden. Because, as students rightly claim, why bother going to school, to prepare for a future that might not exist? Why bother studying science, when policy makers continually refuse to heed the warnings of our world’s best scientists? Why not listen to our young people? Why not take their concerns seriously? Why allow the wealth of a few to put at risk the future of the entire population? Students and young people have a right to be angry. They have a right to be scared, and to be demanding change. Across this country, and around the world, children are standing up for their voices to be heard. They are walking out of schools and forcing those who have too long feigned blindness, to see them. They are shunning the narrative of “too young to care, too young to make a difference” and shouting at the top of their lungs. Forcing those who have feigned deafness to hear their concerns. They are saying, “go on, we dare you to shut us out”. No longer can those at the top ignore the cries from those of us below. No longer can the needs of every other individual on this planet, be sacrificed for the greed of a handful. Let’s not shout over our young people, silence them, or place our hands over our ears. We need to hear them, and we need to encourage and support them. It is time. For all of us, to start demanding these changes, pushing those in charge to act in ways that benefit us all. I am proud to stand beside these young people, not in front. I will follow them in their footsteps, as they lead us towards a more hopeful future. I hope you too, will join them. Read the full report from the UN Intergovernmental Panel on Climate Change here.